I have been baking regularly for a year and a half. The fresh loaf has been my primary education. Thank you all. This represents this week's levain bake. 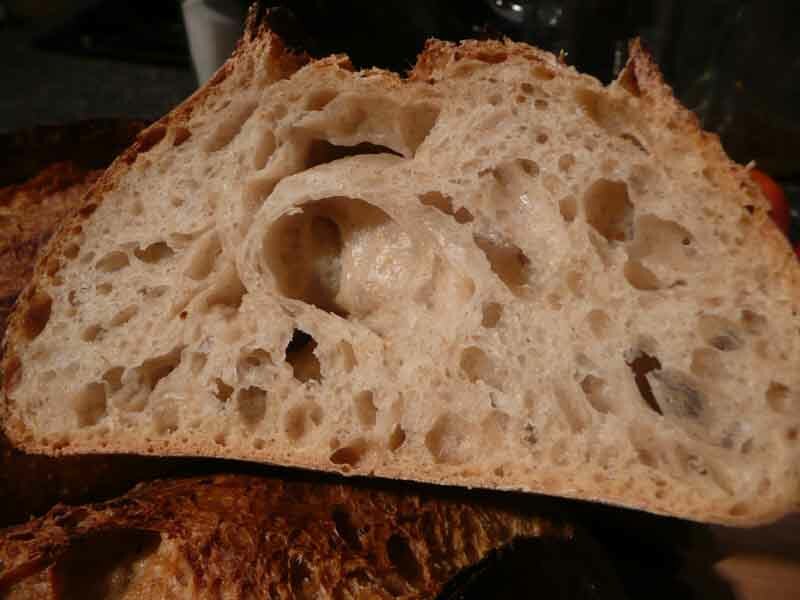 The formula evolved from Hammelman's Vermont sourdough, and continues to drift weekly. The weather changed recently and the kitchen is cooler; the formula will be different next week. I like to mix an 1800g batch at 78% hydration, as the numbers are friendly. 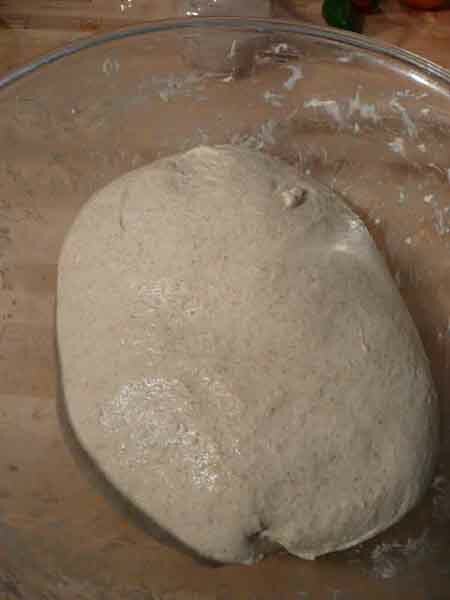 1000g flour (here: 75% Gold Medal unbleached AP, 20% White whole wheat, 5% rye), 780g water, and 20g salt; 20% flour prefermented. The mix began with 400g 100% hydration levain. 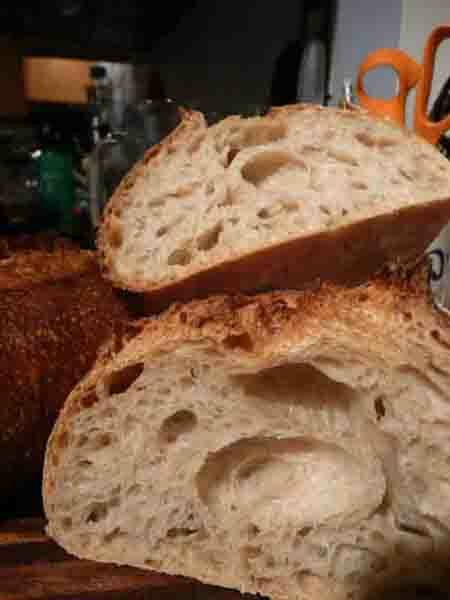 Levain flour is 50% white whole wheat, 25% rye and 25%AP. The levain was not at peak. 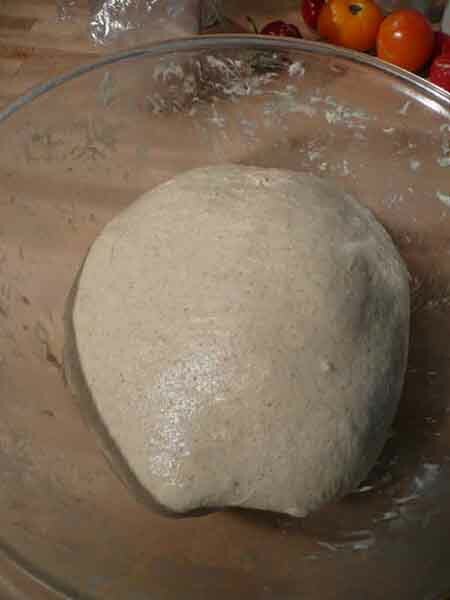 Mixed levain, flour and water and allowed a 30 minute autolyse; added salt and kneaded in bowl for 3 minutes; Bulk fermented at 70* for 3.5 hours with stretch and folds (in bowl) at roughly 30, 60, 90 minutes. 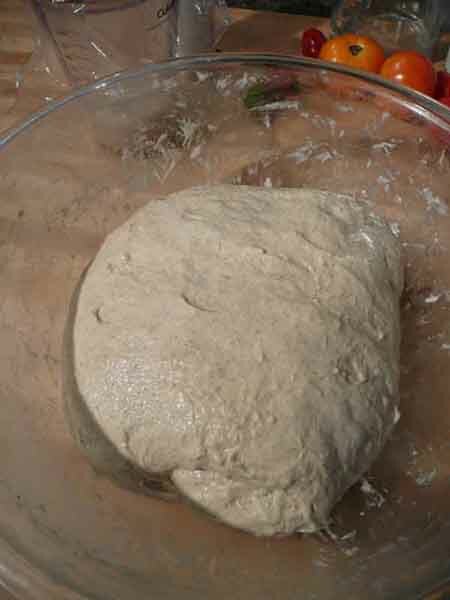 Divided, shaped and allowed to ferment en couche. These shaped loaves were immediately refrigerated for 3 hours, then removed to room temperature for 2 hours before baking with steam (10 minutes) at 450* for 40 minutes. 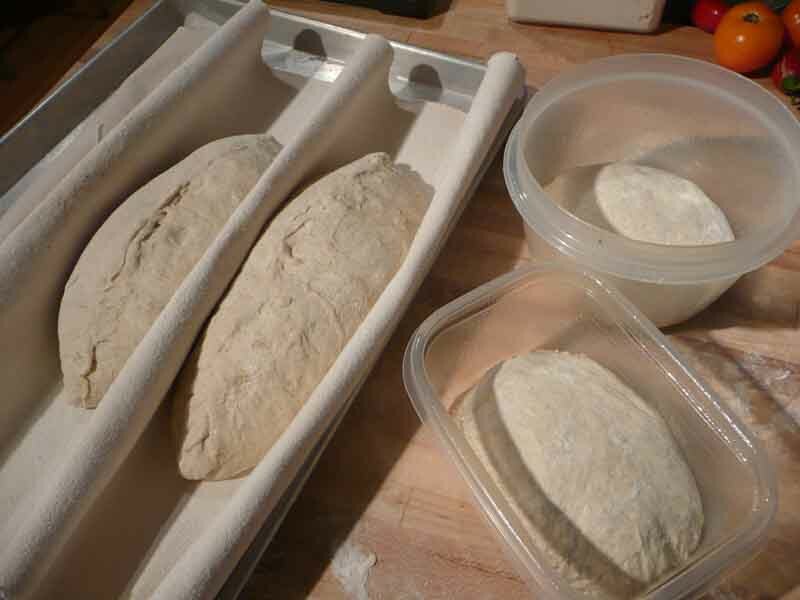 The formula yields 2 large loaves, or two 11oz pizza crusts and two 20oz loaves. Before baking, I thought these loaves had been overproofed. But they boinged up ok during the bake. Fine-tuning the length of fermentation remains my challenge, particularly when retarding. I appreciate this site and the discussion here very much. Thanks to all contributers, your contributions are very helpful. 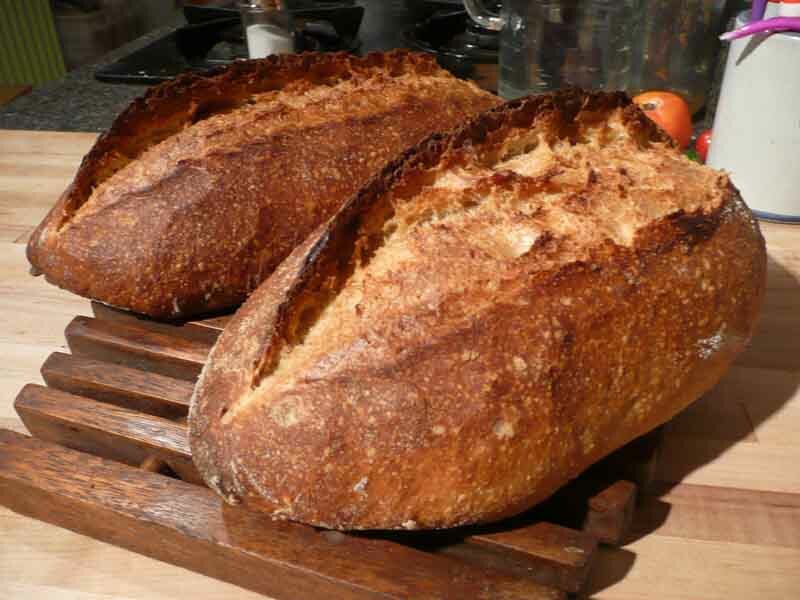 You've obviously learned a lot because those are gorgeous loaves and the crumb looks delicious. 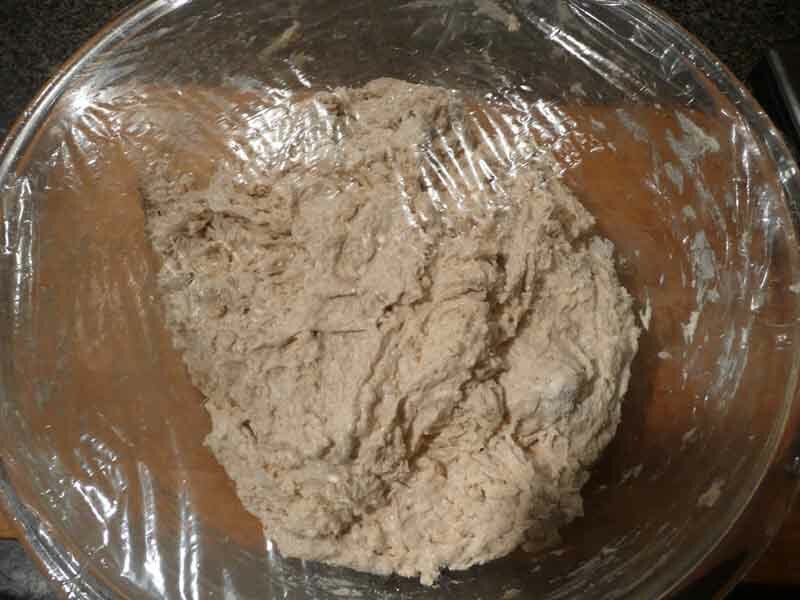 My latest challenge is soft sandwich bread with whole grain. So far a little confounding.